It’s already the middle of summer, but I’m sure you still have lots of BBQ’s left to enjoy. 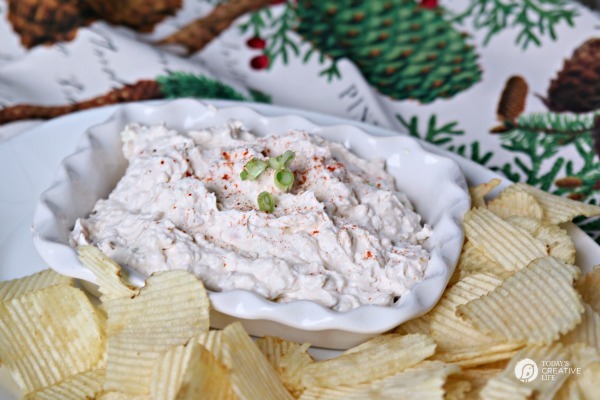 🙂 Today I’m sharing a yummy dip that you can take to your next party as an appetizer–one that is so easy to throw together. (I shared it at All Things Thrifty last month but had to share it here too!) 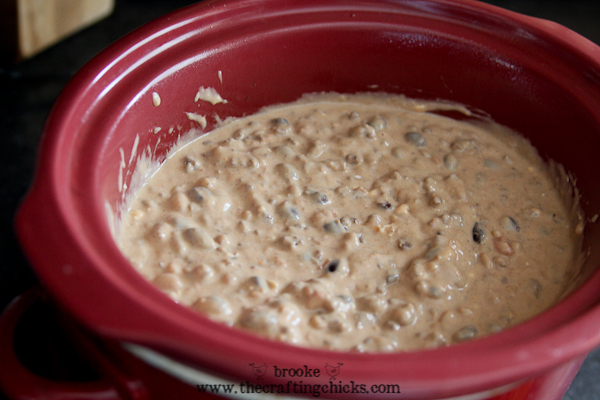 You can keep it warm in the crockpot as long as you want. 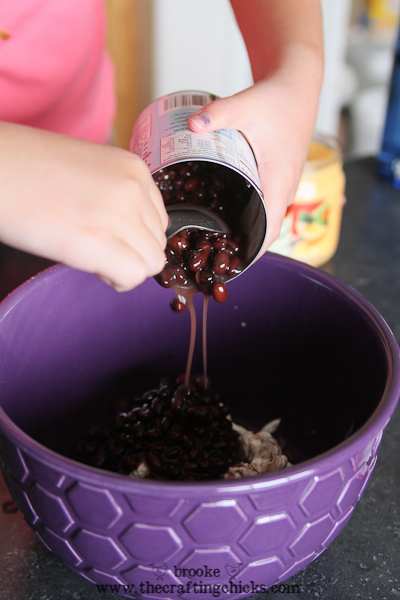 This recipe was a favorite of my roommates and I in college, and whenever I make it I think of all the fun times we had! 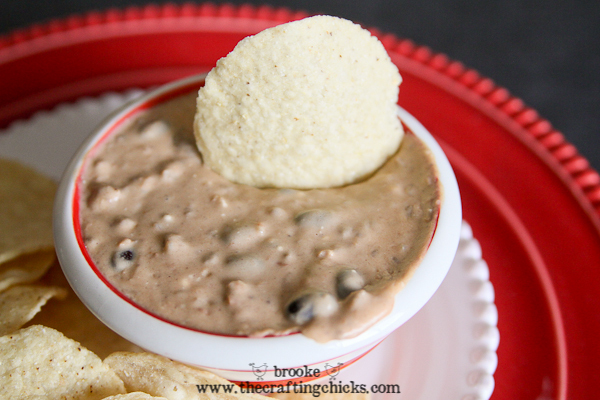 It’s Easy Cheesy Bean Dip. 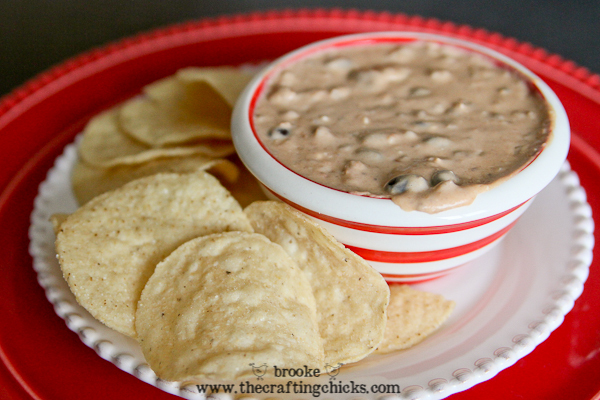 Your favorite chips to dip! 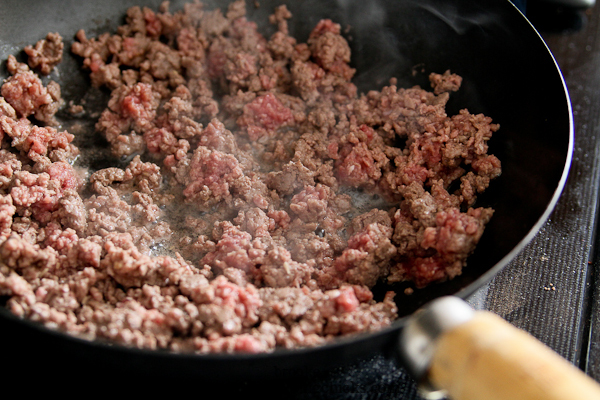 Start by browning the hamburger. 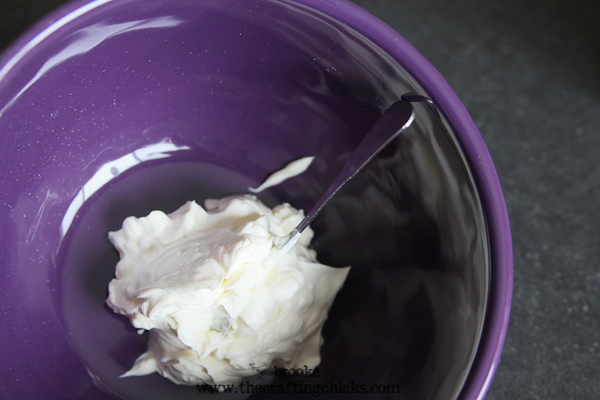 While the hamburger is cooking, put the softened cream cheese into a bowl. 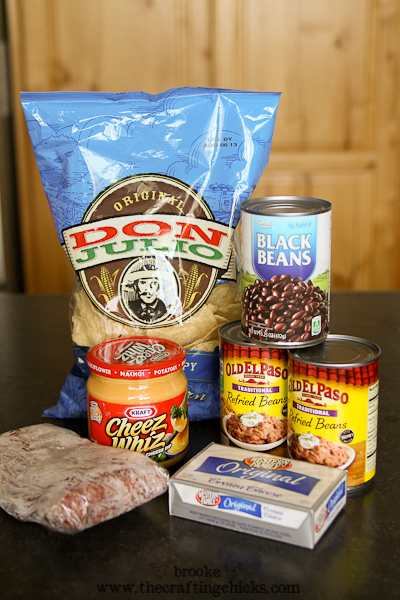 Then add the black beans, refried beans, and Cheez Whiz to the bowl and mix it all together. 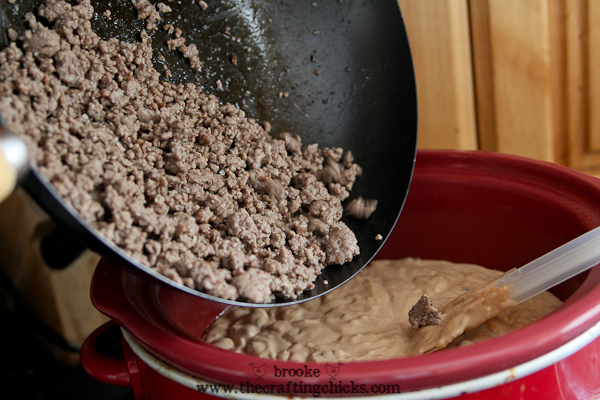 Add the cheesy bean mixture into your crockpot, then add the browned hamburger and mix it all together. 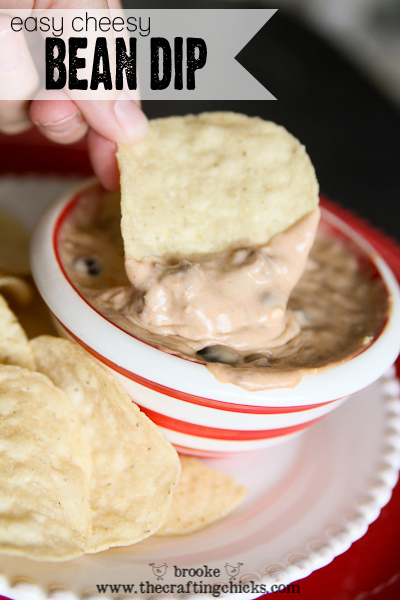 Heat on LOW until warmed through, then you can keep it on the WARM setting while you hang out and and dip the chips! You could also warm it up in a big pot on the stove if you wanted to, I just like how the crockpot keeps it nice and warm. This stuff is so yummy and slightly addicting. Hope you enjoy this simple yet scrumptious recipe!